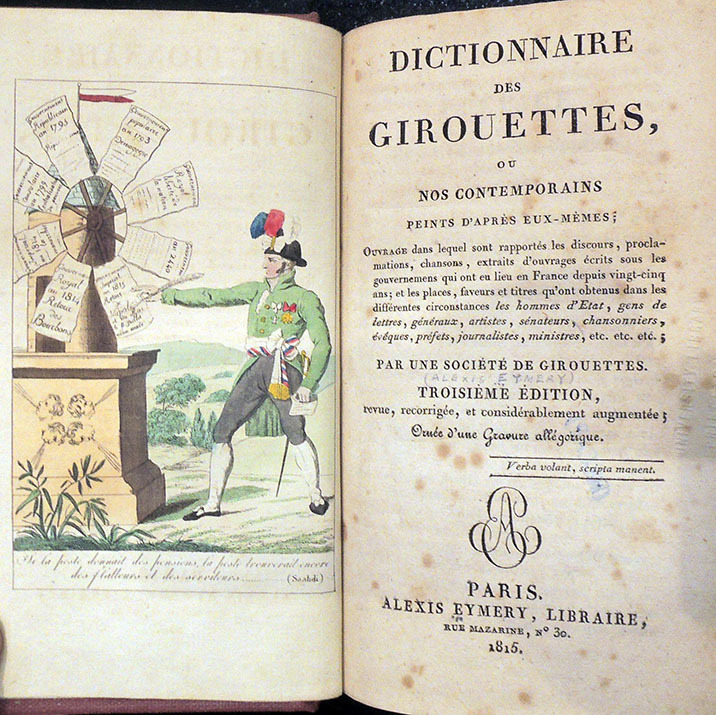 The comment might fit this nineteenth-century satirical dictionary, published by the bookseller Alexis Eymery under the anonymous “Society of Weathervanes.” Contributors are said to include the singer and poet Pierre-Joseph Charrin, the printer Joseph Tastu, the writer René Perin, and the Count César Proisy of Eppe. 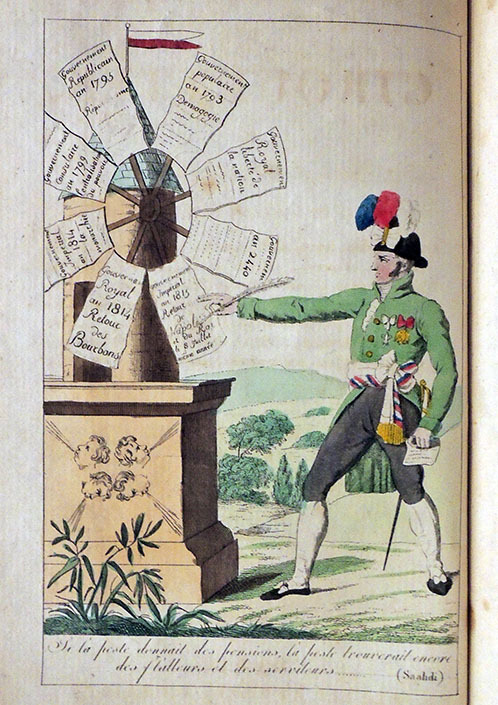 The book has been described as “stigmatizing the flip-flops and successive loyalties of personalities under the different regimes of the Revolution to the Hundred Days.” At the front is a wonderful allegorical plate, in which a colorful gentleman signs any and all proclamations, from the constitutional monarchy to the second return of King Louis XVIII. 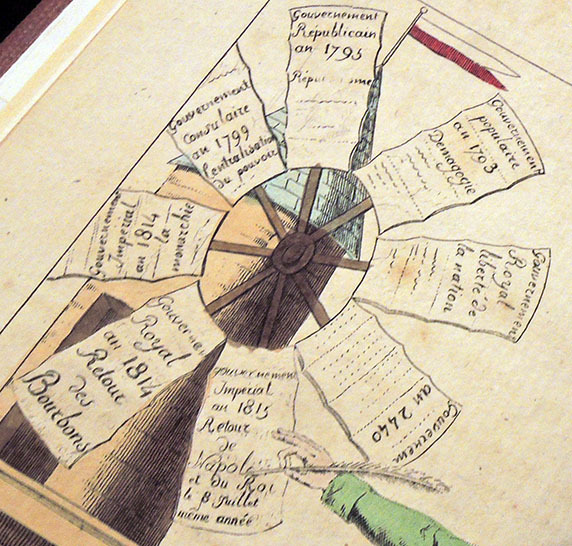 Note the blade with a declaration from the government of the year 2440, waiting to be signed. This entry was posted in Illustrated books on February 13, 2019 by Julie Mellby.